Alize' Smith and Jarron Moreland were only 21. Emmett Till was not hung, according to Biography.com, two white men “beat the teenager brutally, dragged him to the bank of the Tallahatchie River, shot him in the head, tied him with barbed wire to a large metal fan and shoved his mutilated body into the water.” Here is what happened to Alize’ Smith and Jarron Moreland, both 21, in Oklahoma. On April 14, Four white people killed the two men by shooting them, dismembering their bodies and tying cinder blocks to their bodies so they would sink in a pond. Let’s not be so blind to act as if there was no racial element. Until proven otherwise, this is a lynching. Just like Trayvon Martin was lynched, even though his killer said it had “nothing” to do with race. Just like Timothy Caughman was lynched in March of 2017 in New York—though a name you likely never heard, prosecutors said it was “most likely an act of terrorism.” Alize’and Jarron were lynched. According to the criminals, they shot, dismembered and sunk the bodies into a pond simply because during a gun sale they heard the sound of a gun being cocked. Johnny Shane Barker, 16, started shooting. Sounds implausible that they would instantly shoot and kill two people because of the sound of a gun being cocked, which many people do to test out a gun. In addition, why the brutality of dismembering their bodies and throwing them in a pond with cider blocks? Why not call the police and explain their “life was threatened,” we all know how that worked for George Zimmerman? The story from these criminals is illogical. But it sounds as if authorities are quickly believing this version. According to WJLA.com, “Police arrested 22-year-old Kevin Garcia-Boettler, 43-year-old Johnny Shane Barker and the 16-year-old brother of Garcia-Boettler, who police say is the suspected shooter. Their mother, Crystal Rachelle Boettler, 40, has also been charged with accessory after the fact.” The teen, who allegedly pulled the trigger, is charged with first-degree murder, second-degree murder, unlawful removal of a dead body, desecration of a human corpse and possessing a firearm after delinquent adjudication. Garcia-Boettler is charged with accessory after the fact and unlawful removal of a dead body. Barker is charged with accessory after the fact, unlawful removal of a body and desecration of a human corpse. His grandmother said to reporters about Jarron, who was a father, “Very, very good daddy. He took care of his little boy and the boy is going to be lost without his daddy.” Jarron Moreland’s mother Kennetha Moreland told KFOR she wonders whether more happened than a gun sale gone bad and added, “To me, it’s like y’all planned to torture them.” Exactly “more happened” — a modern day lynching, as Shaun King tweeted. 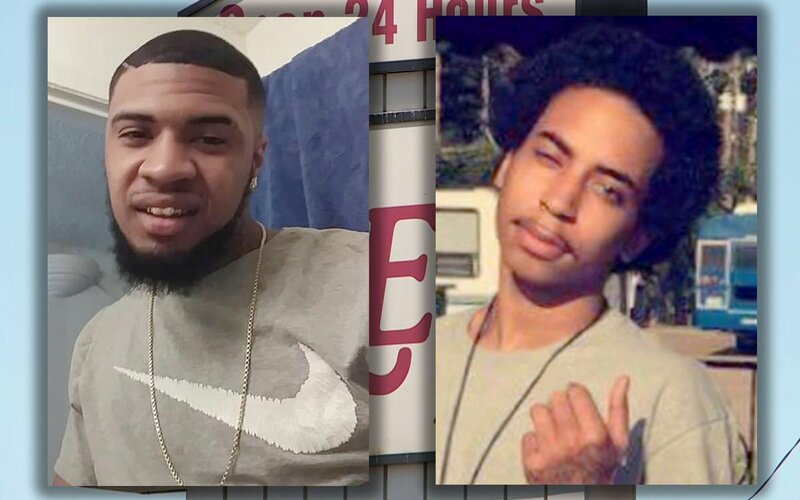 Our condolences go out to the families of Alize’ Smith and Jarron Moreland.